Armada Lodge Bed and Breakfast in Limerick is a comfortable family run Bed and Breakfast with private parking for our guests. A Warm Welcome Awaits You from Nuala and Ken Ryan at Armada Lodge Bed and Breakfast. They will offer the best service that you feel like at your own home. They are approved by Failte Ireland (Tourism Approval Authority) and are members of Town and Country Homes Association. Our four guest bedrooms are all cosy and clean, with ensuite bathroom facilities, TV, coffee and tea facilities, Irons and hairdryers. They have Internet Access and the guests can use it in the nice Lounge. After a good and tasteful breakfast cooked by Ken Ryan (a professional chef), you can start your day and explore the third largest city in the Republic Ireland, Limerick. 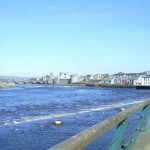 Limerick is central located that it makes to a tourist magnet. 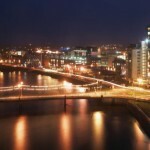 Limerick was founded by the Vikings. Given its strategic point on the River Shannon, it thrived under the Normans, but later bore the brunt of English oppression. The city centre consists of three historic districts. King’s Island was the first area to be settled by the Vikings and was later the heart of the medieval city, when it was known as Englishtown. 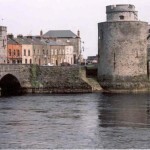 Today Limerick city is full of history and offers all the tourist a varied tour. The most pleasant part of Limerick in which to stroll is Newtown Pery – a grid of gracious Georgian terraces focused on O’Connell Street. A must to see attraction is definitely the King John’s Castle, founded by King John in 1200, not long after the Normans arrived or visit the oldest structure in the city the St. Mary’s Cathedral, built in 1172. For this the Armada Lodge Bed and Breakfast is perfectly located for Shannon airport, Limerick City Centre and all other famous attraction around the city.